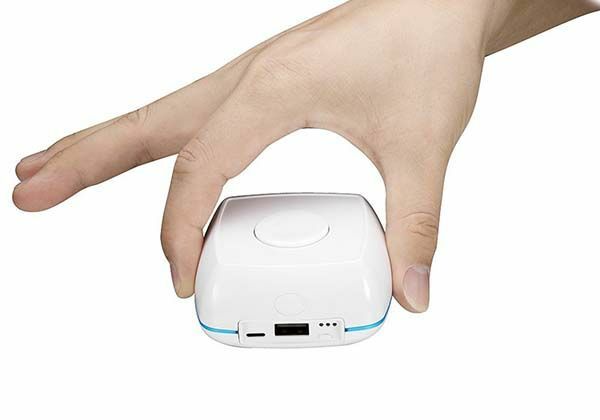 Using built-in backup battery and adapter for Apple’s magnetic charging cable, the HappyCell’s power bank not only charges your iPhone or other mobile devices, but also offers mobile juice to your Apple Watch. Need the two features? Let’s go on checking. This is a versatile and portable charger that measures 3 x 3 x 1.5 inches and weights 7 ounces. As we can see from the images, the power bank shows off a simple and compact design, and smooth and streamlined exterior not only delivers modern aesthetics, but also allows you to easily slide it into your bag for easy carrying. The power bank comes equipped with a built-in 3000mAh rechargeable battery. With its 1A USB port, it charges your smartphone or other mobile devices on the go. 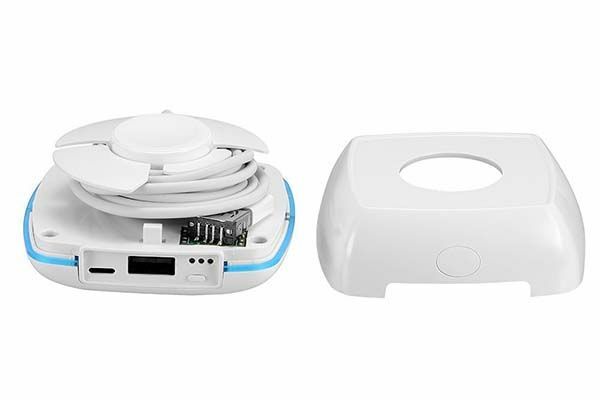 More importantly, the portable charger also features an integrated adapter for Apple Watch’s magnetic charging cable, so it doubles as an Apple Watch charger to charge the smartwatch with ease. In addition, its over-charge, over-discharge, short circuit, high temperature protection provides a reliable charging method. 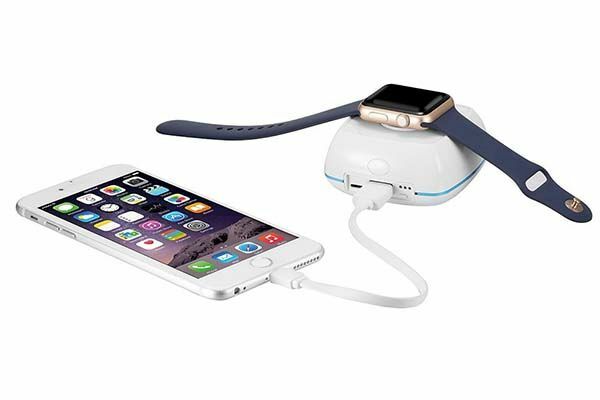 The power bank with Apple Watch charger is priced at $49.99 USD. If you’re interested, jump to Amazon (unavailable) for its more details. BTW, also don’t miss the Apple Watch travel case and more related cool stuff by following tags.